I’ve just finished up a busy time with Valentine’s Day, and at some point during all of the craziness, especially after seeing all of the cards, candy and balloons this year, it made me think of the cliche bouquet: red roses with LOTS of baby’s breath. For years, baby’s breath, also known as gypsophila or “gyp”, has taken a back seat (and even I can admit I have tried to stay away from it.) However, in it’s defense, baby’s breath is coming back and is now being used in modern arrangements. Even brides who are looking for a vintage, country or boho feel (without a lot of expense) are incorporating baby’s breath into everything from ceremony decorations and centerpieces to solely baby’s breath for their wedding bouquets. 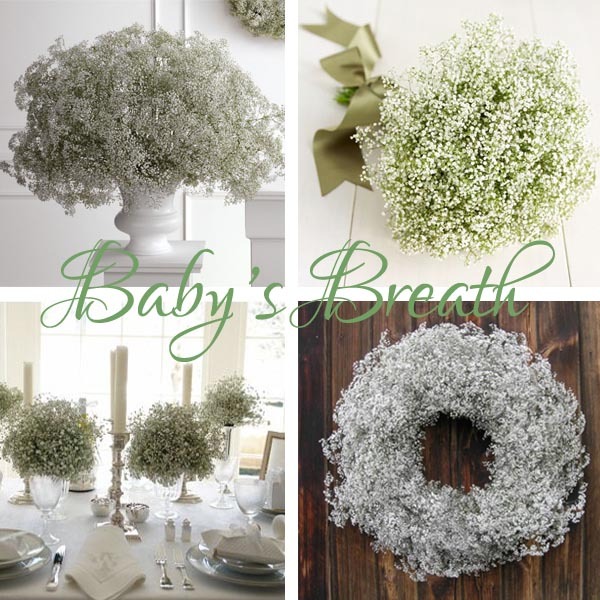 Find more inspiration on baby’s breath done right here. Below picture from Primodonna Bride. Posted in Home Decor, Wedding Flowers and tagged baby's breath, bridal bouquet, sioux falls flowers, sioux falls wedding flowers, sioux falls weddings, south dakota flowers, south dakota wedding flowers, south dakota weddings, wedding flowers, wedding inspiration, white flowers, white wedding.